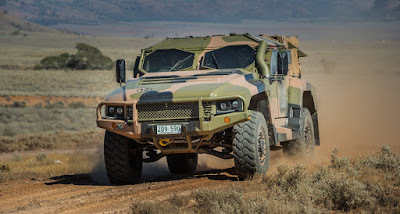 Global defence contractor Thales has chosen Adelaide electronics firm REDARC to supply a dual power system for its Australian developed and made Hawkei protected vehicle. REDARC will provide a dual power solution based on their off the shelf technology which had its origins in equipping recreational vehicles and caravans. The system provides constant, regulated power for critical components such as radios, communications and computers. Input and output voltage are selectable across a wide range. REARC’s managing director, Anthony Kittel said the contract demonstrated the company’s unique positioning as a defence supplier. Off the shelf, or modified versions of its existing products were being accepted by defence customers. “Over the past 5 years REDARC has established itself as a key SME in the Australian Defence sector. REDARC’s vehicle electronics products are encapsulated in a silicone elastomer which insulates them from moisture and vibration. Thales’ Hawkei delivers class-leading protection, mobility and payload with unparalleled levels of blast and ballistic protection for a helicopter transportable vehicle.